Got stamina? The first thing you notice about this flat 13.3-inch notebook is its white case, but its most striking feature lies elsewhere: The Aspire V3-371 provides very good battery life at a moderate price. But is the Aspire a persuasive offer overall? Our review reveals the answer. 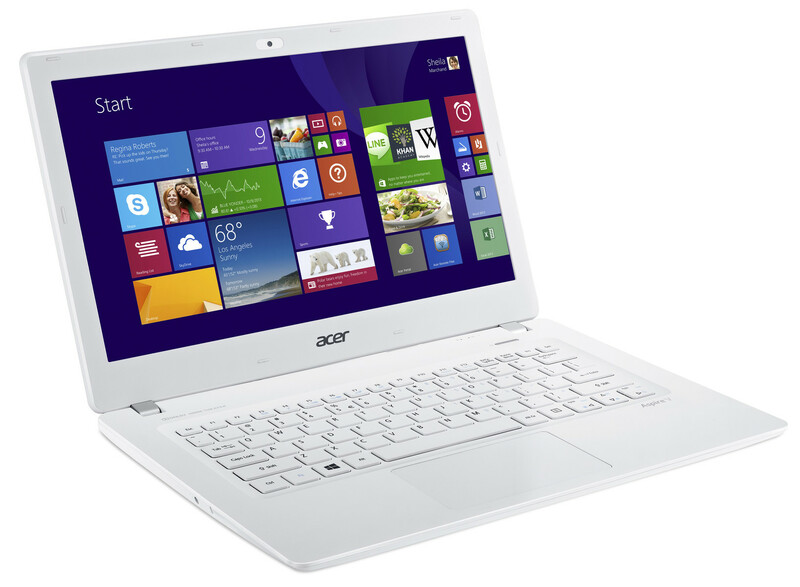 Acer's Aspire V3-371 is a flat, handy 13.3-inch subnotebook. Theoretically, everything needed to make the device a great home surf station is on board. But does the theory work in practice? Read on to find out. Just recently, we reviewed one of the Aspire's competitors, the Lenovo M30-70 (Core i3-4010U, HD Graphics 4400). The two computers are based on a similar concept and lie in the same price range. 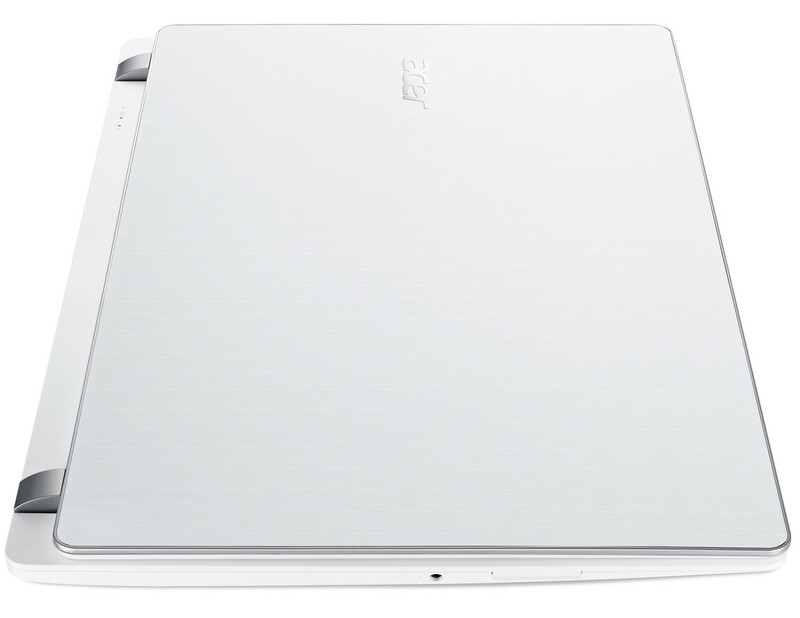 The Aspire immediately draws attention with its completely white case. However, those who shrink from the idea of owning a bright white notebook can take a deep breath: The device is also available in black. Most of the case is constructed out of plastic; only the backside of the lid is made of aluminum. The case's stability is reasonably good. The base unit proves to have a weakness we see on many notebooks: Under pressure, the edges bend a little bit. The base unit can be twisted only ever so slightly. The lid gains stability from its aluminum backside, but it too can still be twisted. We are fans of the hinges: They hold the lid tightly in position and hardly bounce at all. The Aspire does not have a maintenance hatch. 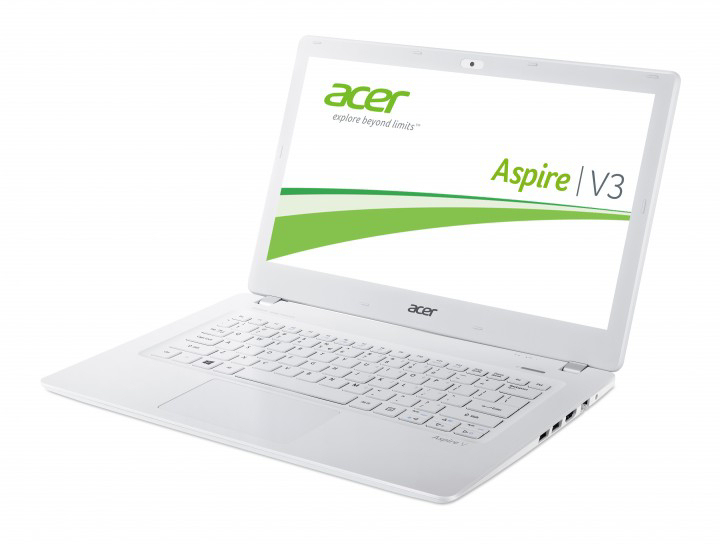 The Aspire does not offer a plethora of connectivity options: Acer selected only the most important connections. Unfortunately, the computer's weak WLAN connection stands out. Even in the direct vicinity of the router (about 3 meters away), Windows never showed more than 2 to 3 bars. However, we did not experience any decrease in the data transfer rates. 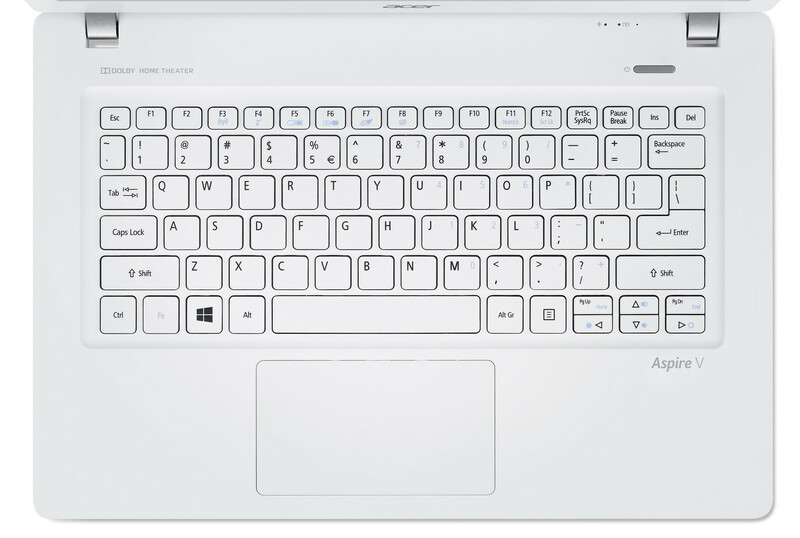 Acer outfitted their Aspire with an unlit chiclet keyboard. The flat, roughened keys offer a short travel distance and a clear click point. The keyboard bends a little during typing, but this does not have a negative effect on the overall typing experience. All in all, Acer provided their notebook with a reasonably good keyboard that should be comfortable even for those who type a lot. A multitouch-capable ClickPad serves as the device's mouse replacement. The pad measures 10.5 x 6 cm (~4.1 x 2.4 inches), and its smooth texture helps fingers glide across the surface easily. The pad has a short travel length and a clearly audible and tangible click point. Acer equipped their Aspire with a matte 13.3-inch display. 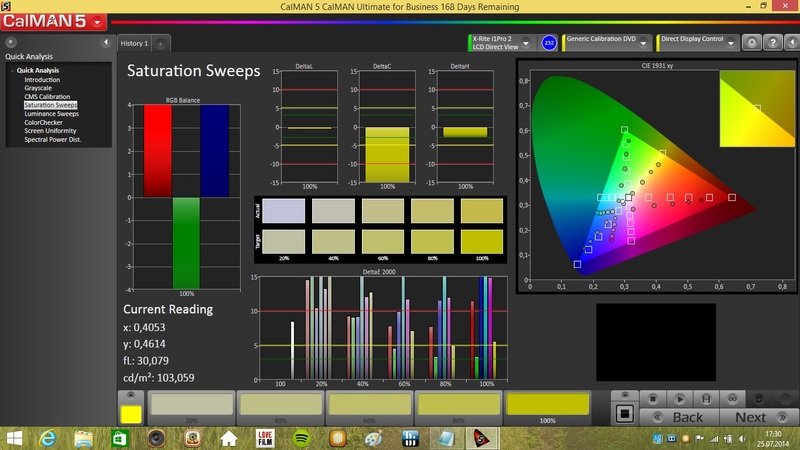 The panel has a resolution of 1366x768 pixels and offers a maximum brightness level of 200.2 cd/m². This number is typical for a notebook in this price class and therefore not particularly impressive. 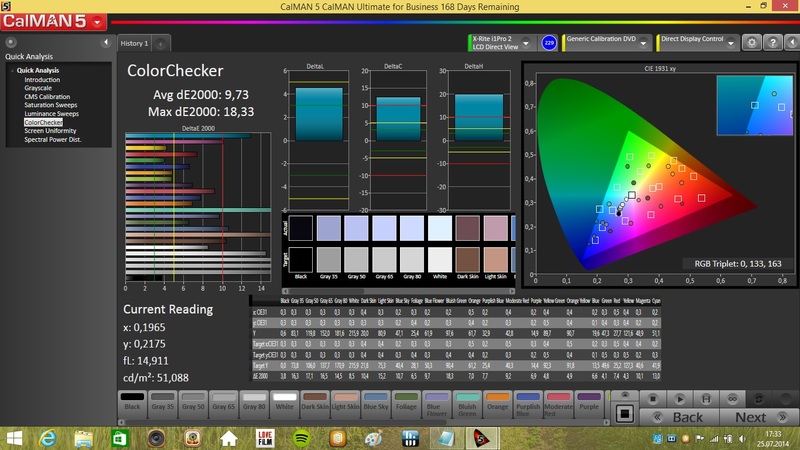 The display's contrast (406:1) and black value (0.5 cd/m²) are on a similar plane -- not good, but certainly respectable. Out of the factory, the panel's average DeltaE 2000 deviation came to 9.73. This number is normal for the notebook's price class as well. A DeltaE 2000 deviation of less than 3 would be ideal. The display has a noticeable blue cast. The Aspire houses a TN panel, which means the display content is only visible from a limited range of angles. Thanks to the matte display surface, outdoor use is certainly possible, though it would be best to avoid extremely bright environments. 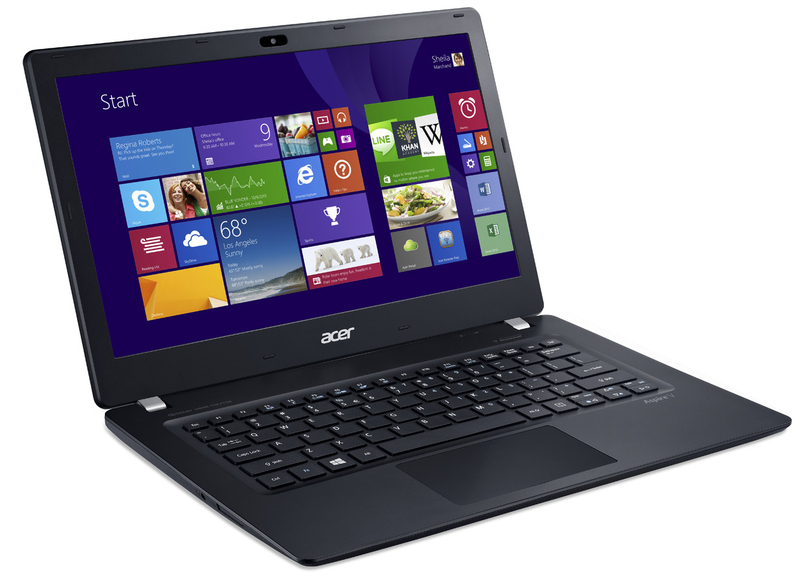 The Acer Aspire V3-371 is a simple 13.3-inch office notebook. The device's performance is more than sufficient for everyday tasks. Our test device is currently for sale for about 500 Euros (~$670). Those who can make do without a Windows operating system can purchase the device for just 450 Euros (~$605). Alternative configurations do exist; the notebook is also available with a Full HD display and/or a Solid State Drive. A Core i3-4030U takes on the role of processor in the Aspire. This Haswell generation dual-core CPU runs at a speed of 1.9 GHz. There is no turbo. The processor supports Hyper-Threading (each core can process up to two threads simultaneously). The CPU's full performance is available in both AC power and battery mode. The system completed the Cinebench benchmark's CPU tests at 1.9 GHz in both modes. The system runs robustly and fluidly; we did not run into any problems. In keeping with our subjective experience, the results from the PCMark benchmark are good. The hybrid hard drive (hard drive with built-in SSD cache) is to thank for this, as the device profits greatly from its SSD cache in this benchmark. A hybrid hard drive from Seagate serves as the system's mass-storage device. The drive offers a capacity of 500 GB and runs at 5400 rpm. Seagate outfitted the storage medium with an SSD cache (8 GB). This cache helps frequently used applications to start up quickly. Overall, the drive achieves good transfer rates. The 4k-read/write rates prove to be above average, thanks to the cache. An HD Graphics 4400 graphics core also makes its home in the Aspire. The GPU supports DirectX 11.1 and runs at speeds of between 200 and 1000 MHz. The results in the 3DMark benchmarks are what we would expect of a system with this graphics core. Running computer games is not one of the Aspire's strengths. For the most part, the notebook can fluidly render games at low resolution and low quality settings at best. Games that demand little of the hardware can be played at higher resolutions and/or quality settings. This includes titles like Counter-Strike: Global Offensive and the various games in the FIFA series, for instance. Anyone looking for a 13.3-inch notebook that is capable of running games with high hardware demands will have to pay dearly for it. 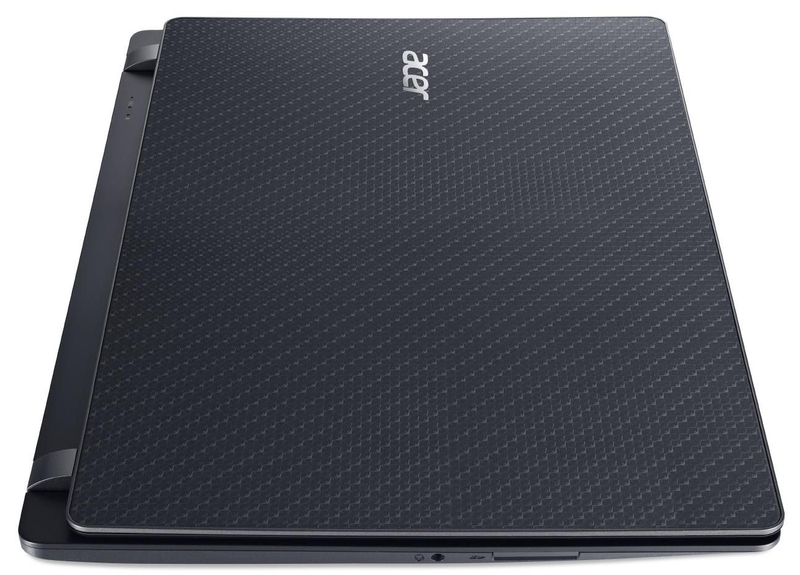 Possible options in that segment of the market include the Acer Aspire S3-392G and the Asus Zenbook UX32LN, for example. In idle mode, the Aspire hardly makes a peep. The hard drive is the only component that is even remotely audible. The fan only starts turning when the notebook is under load. 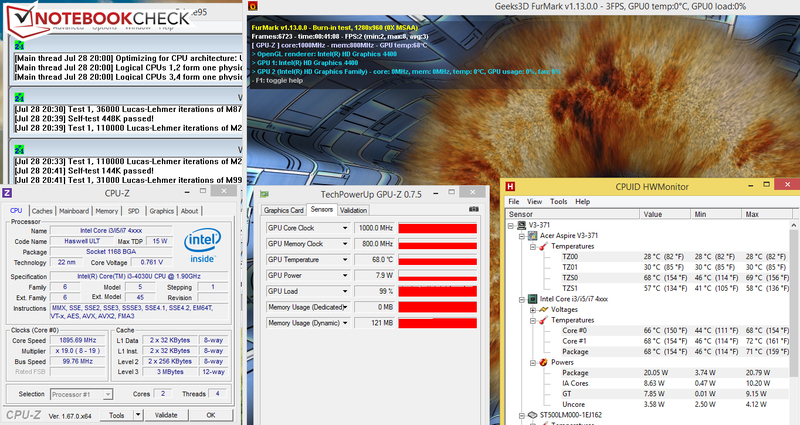 Under medium load (3DMark06 running), the fan spins at no more than a moderate speed. Only under full load (stress test, Prime95 and Furmark running simultaneously) is the fan clearly audible. In idle mode, the Aspire's external temperatures are in the green. During the stress test, the numbers only rise moderately, but the case temperatures cross the 40 °C (104 °F) line in several spots. Both the CPU and GPU perform the stress test (Prime95 and Furmark running simultaneously for at least an hour) at their full speeds in AC power mode as well as in battery mode (CPU: 1.9 GHz; GPU: 1 GHz). The CPU temperature leveled off at about 68 °C (154.4 °F) during the stress test. (±) The maximum temperature on the upper side is 41.8 °C / 107 F, compared to the average of 35.8 °C / 96 F, ranging from 22 to 57 °C for the class Subnotebook. The Aspire's stereo speakers are located on the underside of the device and generate a voluminous sound, though the bass is lacking. All in all, the speakers are comfortable to listen to. We have certainly heard worse. The preinstalled Dolby Digital Plus software substantially improves the sound quality. Under every level of load, the Aspire's energy consumption rates lie in the expected range. We did not observe any rogue results in the data. Good: Like almost all notebooks equipped with a Haswell processor, the Aspire too consumes very little energy in idle mode. In our WLAN test, which is designed to simulate practical, everyday use, we ran a script that automatically loads a new webpage every 40 seconds. 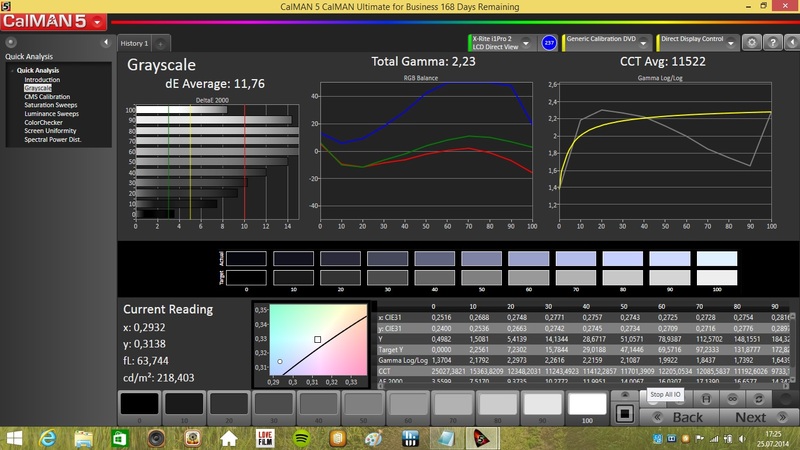 The energy-saving profile is active and the display brightness is set to about 150 cd/m². The Aspire kept chugging along for 6:34 h. The Lenovo M30 we tested just recently cannot hold a candle to that runtime (3:37 h). 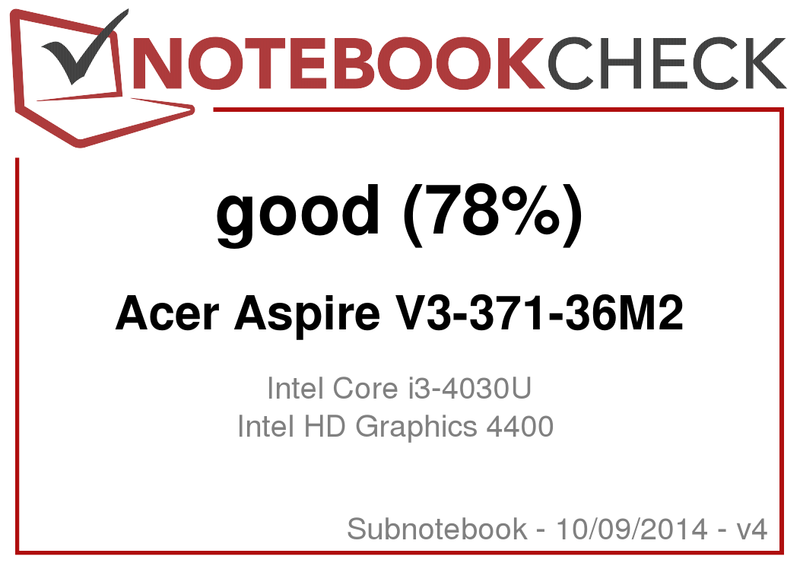 The Acer Aspire V3-371 surprised us a little bit with its matte display and very good battery life -- we had expected this to be a run-of-the-mill 500 Euros (~$670) notebook. Additionally, the device offers its fair share of performance and runs quietly. Acer also put out the money to give the Aspire a decent keyboard. The display is not exceptional, but for the notebook's price, it is certainly acceptable. All in all, the Aspire is a good, inexpensive 13.3-inch notebook for writing and surfing. Students especially may wish to take a closer look. 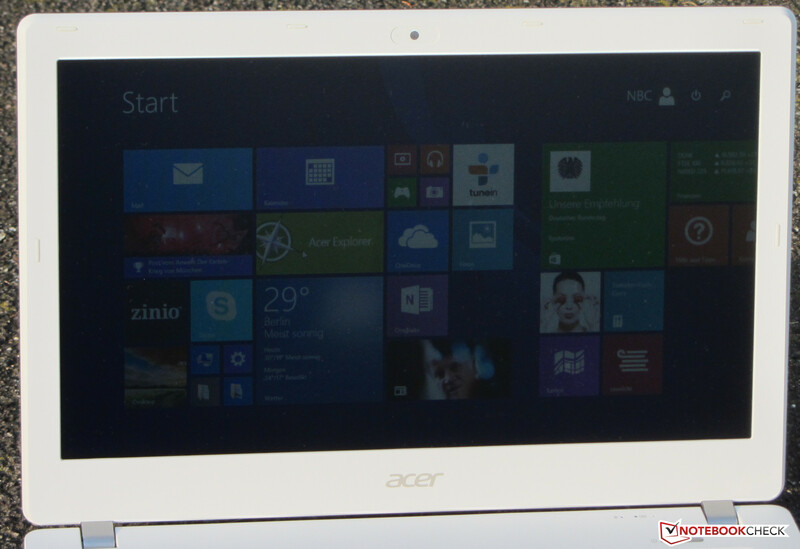 In review: Acer Aspire V3-371-36M2 (NX.MPFEG.001). 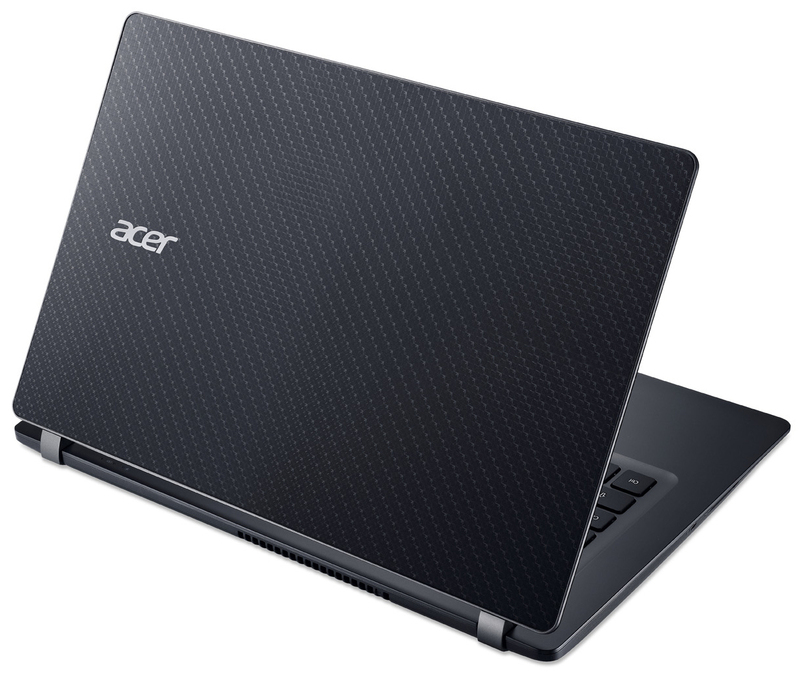 Test model courtesy of Acer Deutschland. The good battery life and the matte display. We do not run across low-priced notebooks with a long battery life very often. Lenovo M30-70, Dell Latitude 3340, HP ProBook 430 G1, Asus PU301LA-RO064G, Lenovo IdeaPad S300, Asus VivoBook S301LA-C1073H.